The term "anti-social" simply means one prefers their own company - or the company of their choosing. 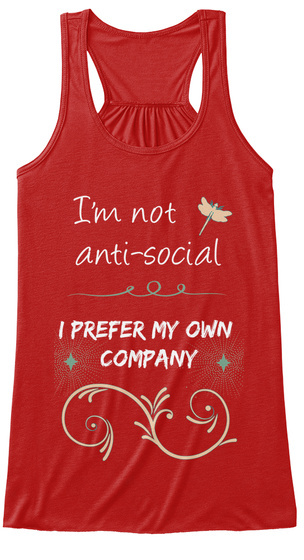 Nothing wrong with it, but the term anti-social, in and of itself, almost seems as though it's a personality flaw. Not everyone loves a crowd...and sometimes that can be the mark of a wise individual.